This is my first review for the 48 Hour Book Challenge! Enjoy! A pilot crash-lands in the desert due to a problem with the engine; the young man who as a 6 year-old, abandoned his dream to be an artist after showing a numerous amount of adults his drawing of a “hat” which is actually a drawing of a snake swallowing an elephant. Now he is stuck in the desert, and he meets a little, peculiar little guy who wants him to draw a sheep for him. He is from a different planet, where everything is small. As the pilot tries to get more knowledge of where The Little Prince is from, the little guy embarks on a story of leaving his little asteroid/planet because of his demanding flower, and going on a journey to experience something new. A mysterious classic tale of travel, De Saint-Exupéry captures this little guy’s tale with excellence and beautiful artwork alongside it. 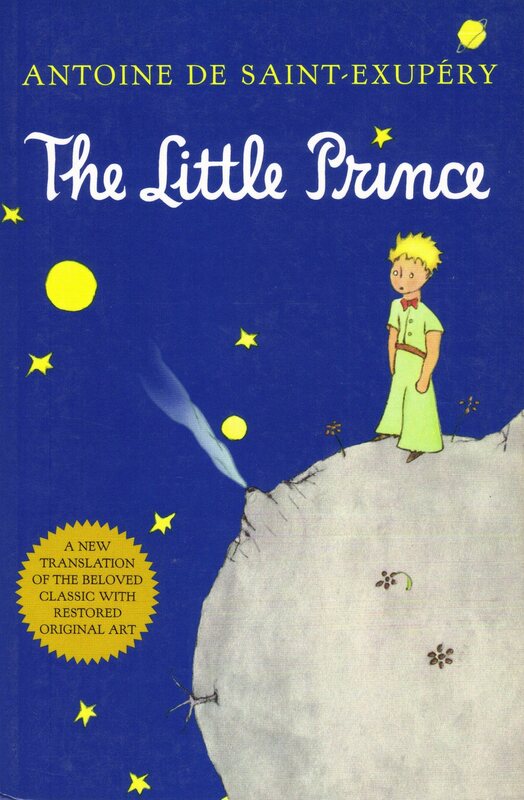 The Little Prince was an interesting novel. This is my mom’s favorite book- so I had to read it at some point-as well as a world-known classic. Short at 85 pages, The Little Prince conducts a fantasy that is fun, and mysterious at the same time. I like how for this book you have to sort of decode the paragraphs and make it what you think /want it to be. The ending leaves you a little like, “What happened?” and I think the author wrote it so it ends how you want it to end. I love the artwork; it complements the story very well. I thought this book was sweet and enjoyable, and it is a must-read classic. Look out for more reviews during this weekend! Bridge To Terabithia comes next! ← 48 Hour Book Challenge Starting Line!